Dubai Electricity and Water Authority (DEWA) has signed an amendment to the Power Purchase Agreement (PPA) with the consortium led by Saudi Arabia’s ACWA Power for the fourth phase of the Mohammed bin Rashid Al Maktoum Solar Park. The amendment includes adding 250MW of photovoltaic solar panels, at a cost of 2.4 US cents per kilowatt hour, the world’s lowest. With this addition, the total capacity of the fourth phase of the solar park will rise from 700MW to 950MW. Following the amendment, the total investment for the ambitious project has reached AED 16 billion. This achievement is part of DEWA’s efforts to achieve the objectives of the Dubai Clean Energy Strategy 2050. “The UAE’s leaders accord this sector high priority in their vision for the nation’s future. Furthermore, being at the forefront of technological advancement in this sector is critical to Dubai’s aspiration of becoming one of the leading cities in the world. 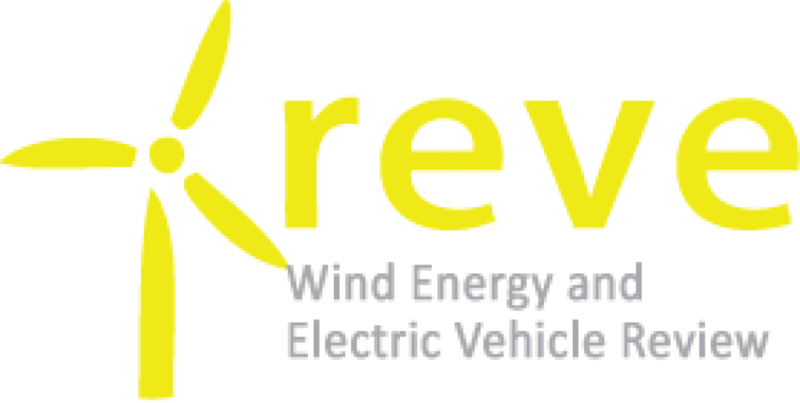 We see this project being a unique model for large clean energy projects elsewhere in the world. This ambitious initiative also adds a new facet to our cooperation with two of our strongest partners, Saudi Arabia and China. The project brings together a distinctive combination of advanced knowledge and expertise to create the largest single-site solar park in the world,” His Highness added. The project will use three technologies to produce clean energy: 600MW from a parabolic basin complex, 100MW from a solar tower and 250MW from photovoltaic panels. 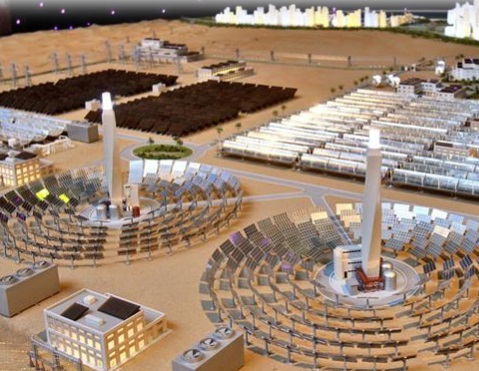 The fourth phase is the largest investment project in the world using Concentrated Solar Power (CSP) on a single site, and is based on the Independent Power Producer (IPP) model. This project has already achieved many world records. It achieved the lowest Levelised Cost of Electricity (LCOE) of USD 7.3 cents per kilowatt hour (kW/h) for the CSP technology, the lowest worldwide. 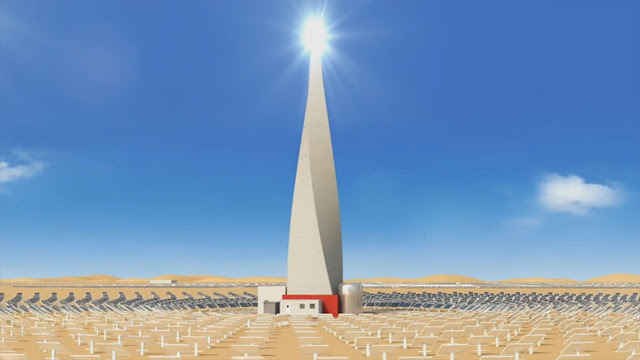 The project will have the world’s tallest solar tower at 260 metres, and the largest thermal energy storage capacity in the world of 15 hours, which allows for energy generation round the clock. The agreement was signed by HE Saeed Mohammed Al Tayer, MD & CEO of DEWA and HE Mohammad Abdullah Abunayyan, Chairman of ACWA Power. Ishaq Al Hammadi, Managing Director at ACWA Power-UAE, and Abdul Hamid Al Muhaidib, Executive Managing Director of Noor Energy 1, were present. From DEWA’s side, Waleed Salman, Executive Vice President of Business Development and Excellence; Nasser Lootah, Executive Vice President of Generation; and Jamal Shaheen Al Hammadi, Vice President of Clean Energy & Diversification were also present. Noor Energy 1 was launched in a partnership between DEWA, ACWA Power and China’s Silk Road Fund to build the 4th phase of the Mohammed bin Rashid Al Maktoum Solar Park. The solar park is one of the most important projects supporting the Dubai Clean Energy Strategy 2050 with a total capacity of 5,000 MW by 2030 and investments worth AED 50 billion. Through its projects, the park will contribute to accelerating Dubai’s shift towards solar energy. The 13MW photovoltaic first phase became operational in 2013. The 200MW photovoltaic second phase of the solar park was launched in March 2017. The 800MW photovoltaic third phase will be operational by 2020.